In these Terms, references to "you", "User" shall mean the end user accessing the Website, its contents and using the Services offered through the Website. "Service Providers" mean independent third party service providers, and "we", "us" and "our" shall mean E-Peripheral Sales & Services Private Limited, its franchisor, affiliates and partners. www.acmahabazaar.com website ("Website") is an Internet based content and e-commerce portal operated by E-Peripheral Sales & Services Private Limited, a company incorporated under the laws of India. Use of the Website is offered to you conditioned on acceptance without modification of all the terms, conditions and notices contained in these Terms, as may be posted on the Website from time to time. Acmahabazaar.com at its sole discretion reserves the right not to accept a User from registering on the Website without assigning any reason thereof. You will receive a password and account designation upon completing the Website's registration process. You are responsible for maintaining the confidentiality of the password and account, and are fully responsible for all activities that occur under your password or account. You agree to (a) immediately notify Acmahabazaar.com of any unauthorized use of your password or account or any other breach of security, and (b) ensure that you exit from your account at the end of each session. Acmahabazaar.com cannot and will not be liable for any loss or damage arising from your failure to comply with this Section 2. Acmahabazaar.com provides a number of Internet-based services through the Web Site (all such services, collectively, the "Service"). One such service enables users to purchase original merchandise such as Electronic Goods from various brands. (Collectively, "Products"). Upon placing an order, Acmahabazaar.com shall ship the product to you and be entitled to its payment for the Services. The User agrees and undertakes not to reverse engineer, modify copy, distribute, transmit, display, perform, reproduce, publish, license, create derivative works from, transfer, or sell any information or software obtained from the Website. Limited reproduction and copying of the content of the Website is permitted provided that Acmahabazaar's name is stated as the source and prior written permission of Acmahabazaar.com is sought. For the removal of doubt, it is clarified that unlimited or wholesale reproduction, copying of the content for commercial or non-commercial purposes and unwarranted modification of data and information within the content of the Website is not permitted. You shall not make any derogatory, defamatory, abusive, inappropriate, profane or indecent statement/s and/or comment/s about Acmahabazaar.com, its associates and partners on any property owned by Acmahabazaar.com. The user guarantees, warranties, and certifies that you are the owner of the content which you submit or otherwise authorized to use the content and that the content does not infringe upon the property rights, intellectual property rights or other rights of others. You further warrant that to your knowledge, no action, suit, proceeding, or investigation has been instituted or threatened relating to any content, including trademark, trade name service mark, and copyright formerly or currently used by you in connection with the Services rendered by Acmahabazaar.com. Acmahabazaar.com hereby disclaims any guarantees of exactness as to the finish and appearance of the final Product as ordered by the user. The quality of any products, Services, information, or other material purchased or obtained by you through the Website may not meet your expectations. Alterations to certain aspects of your order such as the merchandise brand, size, color etc. 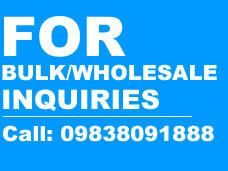 may be required due to limitations caused by availability of product difference in size charts of respective brands etc. In this instance you agree that a representative from Acmahabazaar.com will call you or send an approval request via the email address which you submitted when placing your order. If you do not agree with the requested change you retain the right to reject the requested production change by replying to it within 10 days of it being sent to you. Acmahabazaar.com may re-request that you accept a production alteration one additional time if an alternative method to send your merchandise is available. If you reject this 2nd request your order will be cancelled and you will be fully refunded via your initial method of payment. Unless otherwise indicated or anything contained to the contrary or any proprietary material owned by a third party and so expressly mentioned, Acmahabazaar.com owns all Intellectual Property Rights to and into the Website, including, without limitation, any and all rights, title and interest in and to copyright, related rights, patents, utility models, trademarks, trade names, service marks, designs, know-how, trade secrets and inventions (whether patentable or not), goodwill, source code, meta tags, databases, text, content, graphics, icons, and hyperlinks. You acknowledge and agree that you shall not use, reproduce or distribute any content from the Website belonging to Acmahabazaar.com without obtaining authorization from Acmahabazaar.com. The Website may contain links to other websites ("Linked Sites").The Linked Sites are not under the control of Acmahabazaar.com or the Website and Acmahabazaar.com is not responsible for the contents of any Linked Site, including without limitation any link contained in a Linked Site, or any changes or updates to a Linked Site. Acmahabazaar.com is not responsible for any form of transmission, whatsoever, received by you from any Linked Site. Acmahabazaar.com is providing these links to you only as a convenience, and the inclusion of any link does not imply endorsement by Acmahabazaar.com or the Website of the Linked Sites or any association with its operators or owners including the legal heirs or assigns thereof. The users are requested to verify the accuracy of all information on their own before undertaking any reliance on such information. Acmahabazaar.com has endeavored to ensure that all the information on the Website is correct, but Acmahabazaar.com neither warrants nor makes any representations regarding the quality, accuracy or completeness of any data, information, product or Service. In no event shall Acmahabazaar.com be liable for any direct, indirect, punitive, incidental, special, consequential damages or any other damages resulting from: (a) the use or the inability to use the Services; (b) unauthorized access to or alteration of the user's transmissions or data; (c) any other matter relating to the services; including, without limitation, damages for loss of use, data or profits, arising out of or in any way connected with the use or performance of the Website or Service. Neither shall Acmahabazaar.com be responsible for the delay or inability to use the Website or related services, the provision of or failure to provide Services, or for any information, software, products, services and related graphics obtained through the Website, or otherwise arising out of the use of the website, whether based on contract, tort, negligence, strict liability or otherwise. Further, Acmahabazaar.com shall not be held responsible for non-availability of the Website during periodic maintenance operations or any unplanned suspension of access to the website that may occur due to technical reasons or for any reason beyond Acmahabazaar.com's control. The user understands and agrees that any material and/or data downloaded or otherwise obtained through the Website is done entirely at their own discretion and risk and they will be solely responsible for any damage to their computer systems or loss of data that results from the download of such material and/or data. You agree to indemnify, defend and hold harmless Acmahabazaar.com from and against any and all losses, liabilities, claims, damages, costs and expenses (including legal fees and disbursements in connection therewith and interest chargeable thereon) asserted against or incurred by Acmahabazaar.com that arise out of, result from, or may be payable by virtue of, any breach or non-performance of any representation, warranty, covenant or agreement made or obligation to be performed by you pursuant to these Terms. Prices for products are described on our Website and are incorporated into these Terms by reference. All prices are in Indian rupees. Prices, products and Services may change at Acmahabazaar.com’s discretion. Title and risk of loss for all products ordered by you shall pass on to you upon Acmahabazaar.com's or Vendor’s shipment to the shipping carrier. Acmahabazaar.com may suspend or terminate your use of the Website or any Service if it believes, in its sole and absolute discretion that you have breached any of the Terms. If you or Acmahabazaar.com terminates your use of the Website or any Service, Acmahabazaar.com may delete any content or other materials relating to your use of the Service and Acmahabazaar.com will have no liability to you or any third party for doing so. These terms shall be governed by and constructed in accordance with the laws of India without reference to conflict of laws principles and disputes arising in relation hereto shall be subject to the exclusive jurisdiction of the courts at Lucknow. As per these Terms, users are solely responsible for every material or content uploaded on to the Website. Acmahabazaar.com does not review the contents in any way before they appear on the Website. Acmahabazaar.com does not verify, endorse or otherwise vouch for the contents of any user or any content generally posted or uploaded on to the Website. Users can be held legally liable for their contents and may be held legally accountable if their contents or material include, for example, defamatory comments or material protected by copyright, trademark, etc. If you come across any abuse or violation of these Terms, please report to report care@eperipherals.in. If you see charges on your credit/debit card for purchases made on Acmahabazaar.com, but you never created an account or signed up, please check with your family members or business colleagues authorized to make purchases on your behalf, to confirm that they haven't placed the order. If you're still unable to recognize the charge, please report the unauthorized purchase within 60 days of the transaction to enable Acmahabazaar’s to begin an investigation. To provide a safe and secure shopping experience, we regularly monitor transactions for fraudulent activity. In the event of detecting any suspicious activity, Acmahabazaar.com reserves the right to cancel all past, pending and future orders without any liability. Acmahabazaar.com also reserves the right to refuse or cancel orders in scenario like inaccuracies in pricing of product on website and stock unavailability. We may also require additional verifications or information before accepting any order. We will contact you if all or any portion of your order is cancelled or if additional information is required to accept your order. If your order is cancelled after your card has been charged, the said amount will be reversed to your Card Account. Any promotional voucher used for the cancelled orders may not be refunded. 1- Any return or refund is applicable on only AC UNIT and no refund or return request would be entertained related to scratches or damages on packaging carton/Cover. For minor scratches arising out of transit and shipment, the return or refund request are subject to consideration and sole discretion of Acmahabazaar. Acmahabazaar reserves right to decline any such request subject to inspection of unit and state of AC UNIT delivered. 2- For any reason, other than a damage in AC Unit, if you do not receive the shipment, you would have to bare the cost of shipment/ any other logistic fees arising thereof. 3- For reverse pickup request on cases other than Damaged Unit, you would have to bare the to and fro shipment charges. 4- Refund for online payment would be made after deducting transaction charges as applicable and levied by different payment gateways. 5- For any damaged AC UNIT if found on received, any refund replacement request has to be filed within 12 hours of successful receipt. ACMB reserves right to not consider any request raised after 12 hours or receipt of the AC UNIT. 6- Once AC unit has been delivered and it is opened by you/ or installed at your premises, no REFUND/RETURN request would be entertained. You would have to seek manufacturer warranty therof according to T and C of respective manufacturer. ACMB shall held no responsibility on unit beyond Delivery. Discount coupons - Discount coupons may from time to time be offered to account holders; such coupons may only be applied to purchases made through the account to which the discount coupon was offered and registered. If you need a refund, this will be made in the same way as the original payment method (such as onto a gift voucher, debit/credit card account, a combination of the two and in case of COD, a Bank Transfer). Acmahabazaar.com shall introduce various offers, schemes or contest at different times. The terms and conditions for such Contest shall be separately available on the Site. Acmahabazaar.com reserves the right to change/modify/add/delete any of the terms and conditions prevailing on the different promotional schemes it introduces in market from time to time. Acmahabazaar.com, at its discretion, can withdraw a particular scheme from the website or market. In case of any query pertaining to use of coupon and/or credit note or regarding the schemes, please email customer care at care@eperipherals.in or call @ 8400998270. While participating in any Acmahabazaar.com contest you hereby agree to release and hold Acmahabazaar.com (and its officers, directors, agents, subsidiaries, affiliates, joint ventures, and employees) harmless from any claim or demand, but not limited to reasonable attorneys' fees, or arising out of or related to your participation in the said Contest. Acmahabazaar’s reserves the right to cancel any orders placed using promotional vouchers. Some situations where your order may be cancelled include, without limitation, misuse of any promotional vouchers, unauthorized usage of vouchers or inaccuracies of voucher pricing and value thresholds. The voucher amount will not be refunded for such cases. Suitable legal action will be taken against websites involved in unauthorized publication of Acmahabazaar’s vouchers. 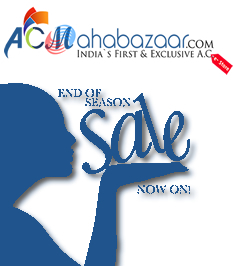 Acmahabazaar.com will only honor vouchers which are issued or published directly by us or our partner websites. It is the customer's responsibility to login earlier if they want to avail better products or styles because Acmahabazaar.com sales are "first get nearer, first served". The merchandise is not restocked once sold out. No information regarding the presence of any Product in our stock will be guaranteed and we will alert you only when an item is sold out.